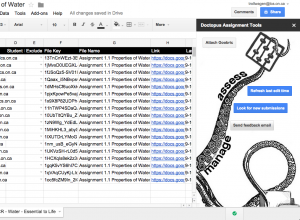 Ever since our school began pushing Google Docs while becoming a GAFE affiliated schools, it has been hard to find an efficient way to organize and manage student assignments within Google Docs. Truth be told, I struggle often with material management issues both at home and at school. If it wasn’t for my wife, I sometimes wonder how I would ever manage to have a mortgage and a car, and somehow always make the payments on time. Unfortunately, our school doesn’t provide me with another wife and so I have had to look for other ways. 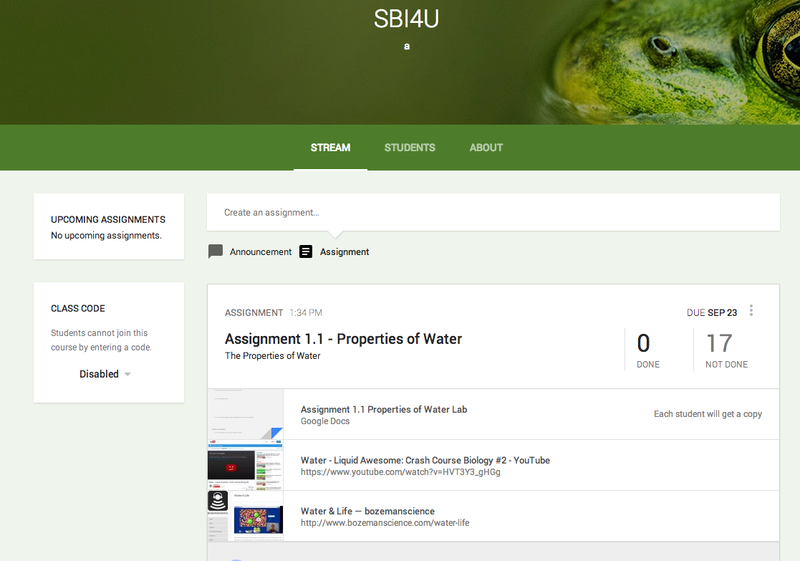 Though only in its infancy, to me anyway, Google Classroom in conjunction with Doctopus, just might be the answer. It’s easy to set up – If your school is affiliated with Google then it is easier as students have emails that are part of your domain. Doctopus, Goobric, and Google Classroom have been integrated. 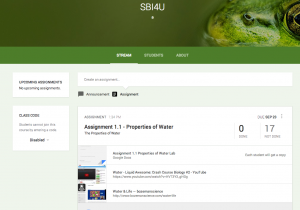 Allows you to easily manage your Assignments in Google Classroom. Once you have intalled the Add On you can access any classroom and assignments that you have. 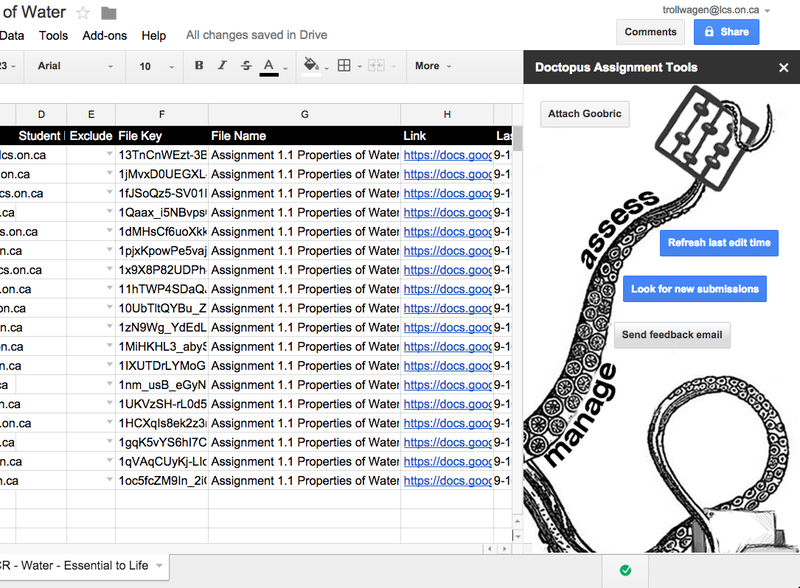 As mentioned in Jennifer’s video, Goobric is a great way to easily assess your Google Docs assignment through Doctopus. The extension allows for Rubrics to be applied to many docs at once, and allows for painless marking that is paperless and less clumsy. You do have to put in the work to make a Rubric in Google Sheets first but afterwards it makes life just a little easier. I like it so far but it’s only been integrated for a few weeks now and I have only just started to play. Any other thoughts, ideas, or opinions on the matter? Please share! This entry was posted in EdTech, Education Tools and tagged Doctopus, Goobric, Google Classroom. Bookmark the permalink. I just set mine up with my GClassroom classes so let’s touch base and share tips. Great edtech post! So far I like the organizing system as well, and my students seem like to Classroom but I think I’m going to push and ask them what exactly they like about it tomorrow. Thanks for a great post Tim, keep up the sharing. Where on SAMR do you think this falls? This isn’t something our school has on its radar, as far as I know. We have a customized, self-contained academic management system provided by a company called Whipple Hill. Before that, we used Blackboard. I found Blackboard fantastic; Whipple Hill is still a work in progress. I’ve used Google docs to manage my personal documents, but I haven’t particularly liked it – but that may be because I haven’t devoted the necessary time to mastering it. It’s fairly new but very user friendly. Our school is currently in transition from one platform to another so I am exploring. Google Docs has been a bit clumsy and is only as organized as the person that is running it. I find that Google Classroom with Doctopus allows for a little more efficiency overall. I will have to check out Whipple Hill. There are rumours that we may be going the Hapara (http://hapara.com/) route but no decisions have been made as of yet.